In 2015 I visited India for the first time and as I’m sure you already know, it totally changed my life. 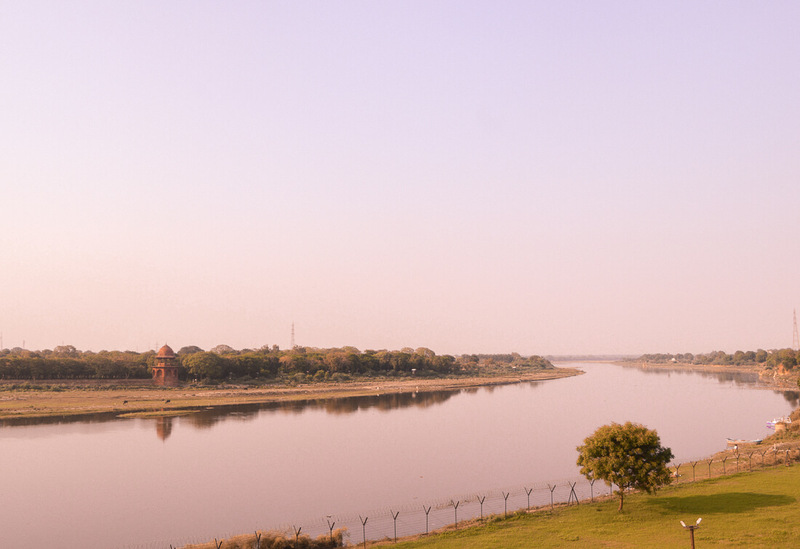 I explored cities in Rajasthan, Madhya Pradesh and Uttar Pradesh visiting Delhi, Jaipur, Agra, Orchha and Varanasi. 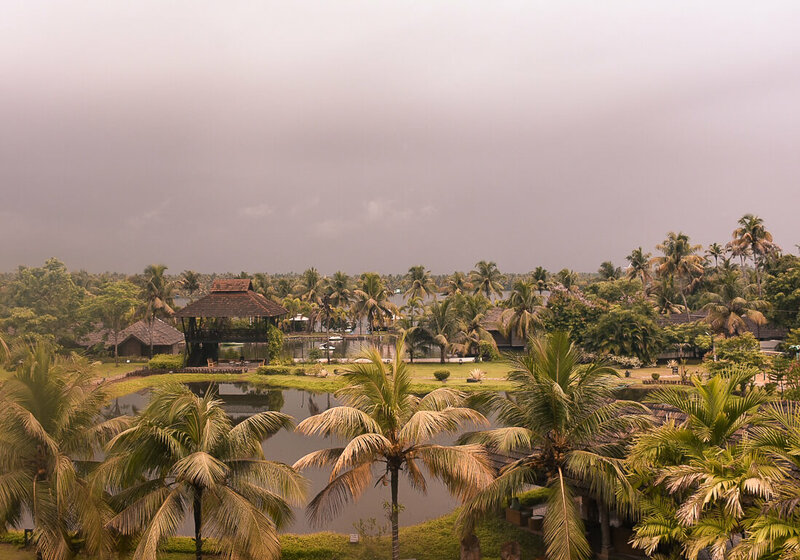 3 years later in 2018, I re-visited this breathtaking country but in a totally different region… Kerala! But I can 110% confirm that those claims were no word of a lie! After visiting Rajasthan, walking around Kerala seemed like a totally different country, so I thought I’d share the exact differences that I discovered between the two! 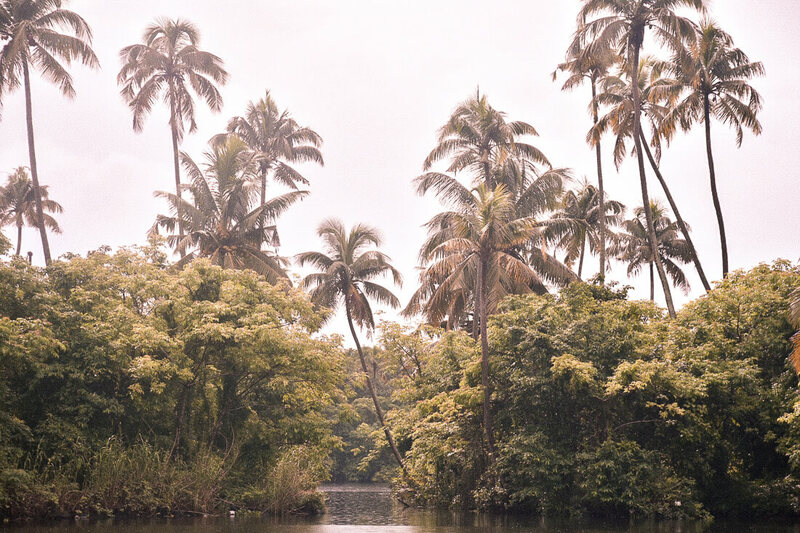 I just want you to remember that this is just a collection of what I personally experienced on my trip – this is the view of a traveller, not of a local. So please keep that in mind! So to put things into perspective, Rajasthan has a population of 69 million, Madhya Pradesh has a population of 73 million and Uttar Pradesh has a population of 204 million. The population of these 3 states combined is 14 times the population of the whole of Australia… And Australia is 2 times the land size of India… Yep. Walking around these cities is like nothing I’ve experienced elsewhere. 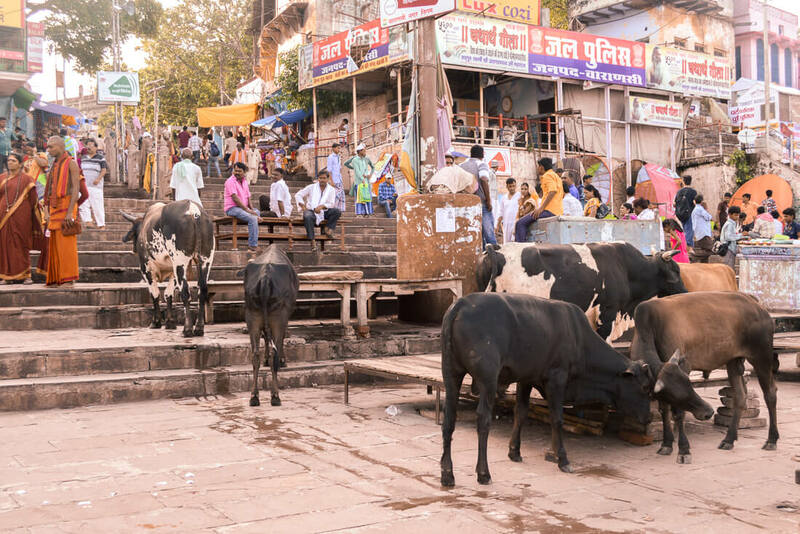 There are cows, cars, tuk-tuks, rickshaws, and people everywhere you look. You have to be conscious of your whereabouts at all time, otherwise the mass crowds will consume you whole and you’ll totally lose your direction. Down in Kerala, things are a little different. The population of this state is 34 million, which is half the amount of the smallest state we visited on the first trip (still more than the population of Australia though might I add). Here, even in the major city of Kochi, the comparison is simply non-existent. The streets were relatively calm with little to know busy traffic, the driving was incredibly civilised and walking down the street was like a totally different world. 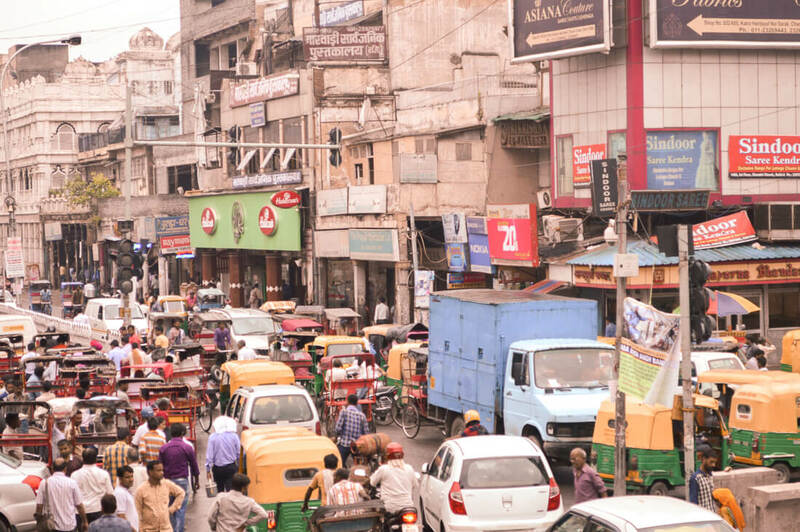 Of course, 34 million is still a lot of people, so it wasn’t like walking down a street in Melbourne… But there was only one moment on this trip that reminded me of being in Northern India, and that was whilst sitting in extreme traffic due to roadworks. It’s so much more peaceful here. Northern India is a place filled with a lot of beautiful cities! Jaipur, Delhi, Varanasi, Udaipur etc. All of which are relatively large with beautiful buildings, palaces, temples and famous attractions. Here, most of the trip consisted of visiting temples and admiring ancient structures. When driving between locations, the journey was spent constantly observing the small villages, farmland and towns. 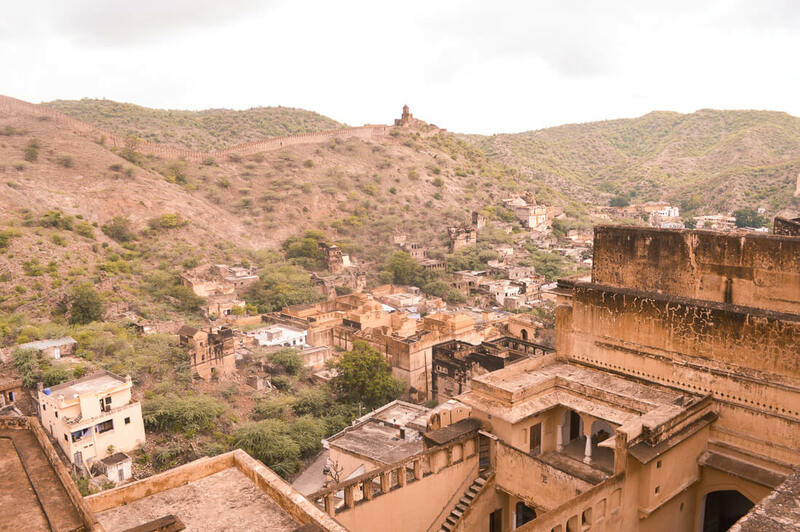 There are a lot of awesome places to visit in Rajasthan, each of which have unique surroundings and architecture! The structures themselves are also different in appearance in comparison to the South – they look much more grand and detailed (but of course, that’s only from what I experienced). As for Kerala, once again, things are very different. Most of the major attractions are based around nature eg. Periyar National Park, waterfalls, tea plantations, houseboat trips and wildlife viewing more. Most of this trip was spent driving around in a bus, and we easily travelled for hours and hours without passing through any major town. Instead, there were lots of tiny villages where many locals live. The towns themselves are very quiet and quaint and with a lot of smaller buildings rather than the big structures that you would commonly see in the North. 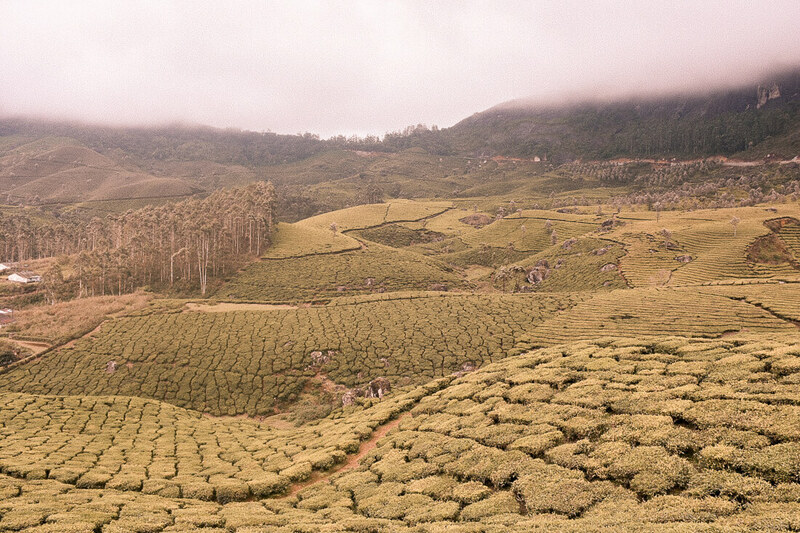 The surroundings are much more luscious; filled with thousands of tea plantations, natural wonders, wildlife and parks. Before I visited India the first time, the only real taste of Indian food that I’d experienced was the westernized version… “Butter chicken” type stuff. So the first day that I arrived in Delhi, we went to a local restaurant and my face nearly blew off!!! I do like spicy food, but nothing too crazy… And boy oh boy was this crazy. Throughout the whole trip in Northern India, there were very few meals where my mouth wasn’t on fire! Here, the sauces are much thicker and consumed with bread and as you’ll see below, that’s very different in the South. As for Southern India, the food is much milder. 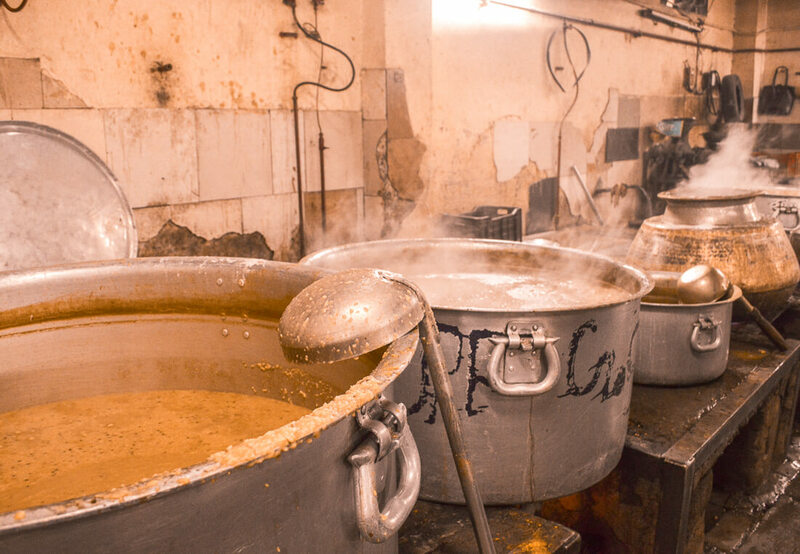 This could be due to the fact that many of the dishes are dulled down for tourists, but in general, I don’t think they’re filled with quite as much spice. The dishes were also thinner in consistency, commonly fish based and served with rice! I visited Northern India in July, and the weather was hot. The average temperature for my trip was about 35°C with unbelievable humidity. There were moments where I felt like I was going to pass out… And that’s no exaggeration! July is part of the monsoon season, but thankfully there were only a couple of days where the rain poured down. But when it poured, it seriously poured! 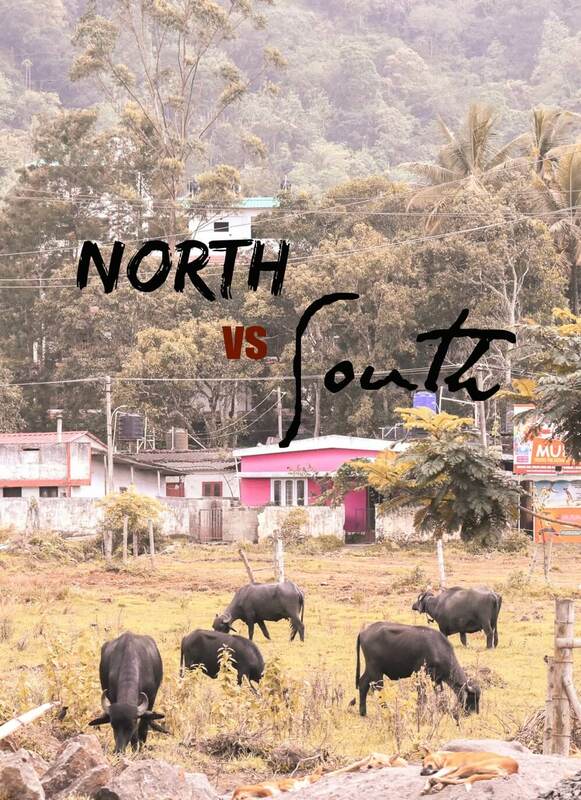 In this instance, the difference between North and South India was extremely noticeable. My visit to Kerala was during the same time of year, but down here, the temperature was much cooler! Humidity was quite high, but there certainly wasn’t any “near faint” moments. In general, it rained much more frequently, but definitely not as heavy as what I experienced up North! The sound of constant car horns rings in your ears. Driving around sleeping cows in the middle of the street is the norm. The call to prayer is a regular occurrence. Rubbish piles are at every corner. Staring eyes follow your every move and stunning sari’s fill the streets. Still to this day, my Northern India trip was the most impactful I’ve ever had. I couldn’t tell you exactly what it was about this place that touched me so deeply, but I think I’ve put it down the vibrant atmosphere. Everywhere you look there’s something happening that makes you want to stop and observe. 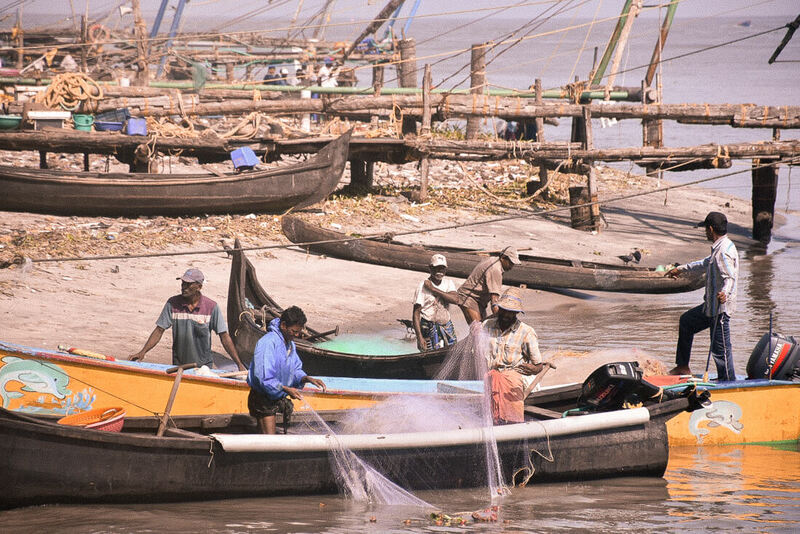 The colour, the culture, the people, and the smell… It’s like nowhere else on earth. 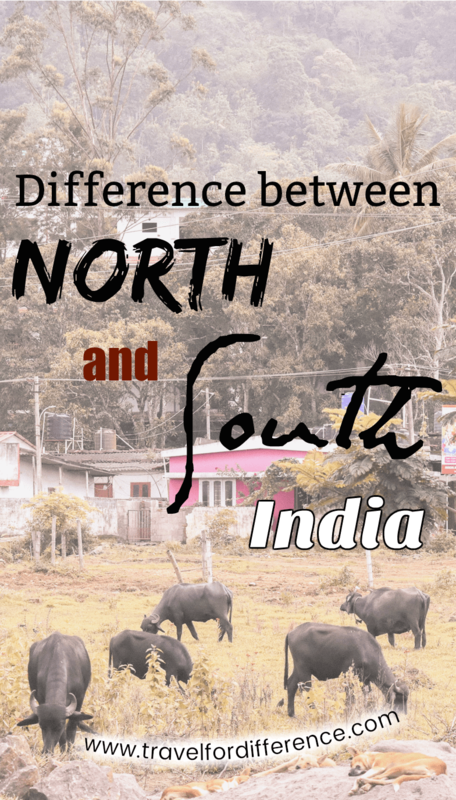 By far, this was the biggest difference between North and South India that I personally experienced. The vibe here is totally relaxed – I felt much safer here than I did in the North, and I think that’s probably down to the fact that this state is very progressive. Begging is banned, there is 100% literacy rate, they opened the first transgender school in the country, there are signs around the streets stating “ban plastic, save the earth” and smoking is totally illegal. Now that’s certainly not to say that there’s a lot of positive changes happening in Northern areas of India too, but there’s absolutely no denying that the atmosphere here is very different here. There were many moments on my Southern India trip where I never heard a single car horn or where I didn’t have a group of people staring at my every move… And to be honest, that’s a rare occurrence up North! So as I’m sure you’ve gathered, all the people talking about the difference between North and South India are absolutely right… I’ve never been to a country with such a contrast in states. Both of my trips to beautiful India were magical, and I honestly couldn’t decide on which I preferred more. I think I’ll always have a soft spot for the North due to the dramatic change it inflicted on my life, but the South was also filled with so much natural beauty. How could I ever choose? So, over to you! If you’ve been here too, what was the biggest difference between North and South India that you personally experienced? As a north Indian, I can say that you have captured the differences so well. I personally find the biggest difference in the food. Great writing. Great post! I’m hoping to go to India early next year. Still unsure whether I want to make the trip just to the south or to venture up to the north… this post made me excited either way! Omg you have nailed the difference between both the regions so perfectly. Being from the West of India and having experienced South and North, i feel each State in India is like a country in itself – so much diversity. This is very interesting. I only visited Madhya Pradesh and Rajasthan and now I am curious to see for myself how different the south of the country is. I always imagined the south would be hotter. Surprised to learn that it’s not.